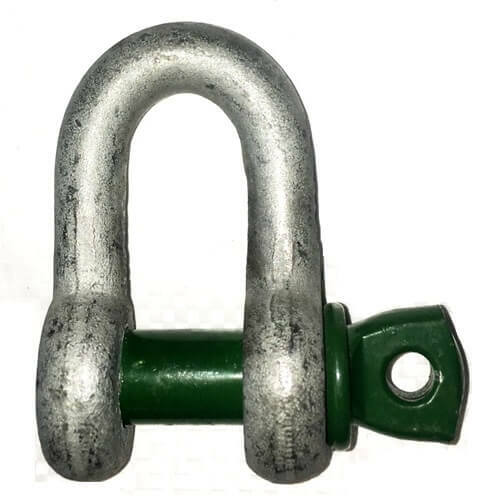 These screw pin alloy dee shackle may also be called green pin dee shackles; they are high quality grade 6 steel which are high tensile and have been quenched and tempered. They are ideal for use in general industrial areas, mining and shipping / off shore operations. 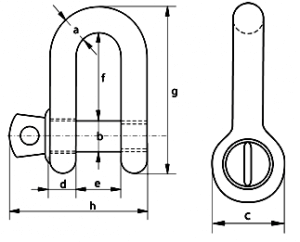 The screw pin alloy dee shackle has an excellent safety factor with its minimum breaking load being 6 x the stated working load limit, so although the shackle will not break if you slightly exceed the stated WLL it is not recommended, the WLL is stated for good reason, and continually exceeding this, even slightly will weaken the shackle. No lifting equipment should ever be used above the stated safe working load limits. 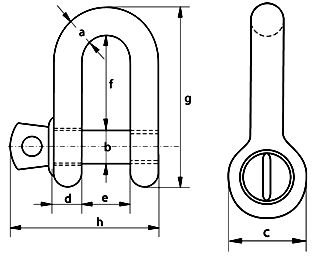 The screw pin alloy dee shackle can be used in extreme temperatures, in fact it is safe to use in temperatures as low as -40 degrees and up to a maximum + 200 degrees C. This makes them extremely useful in certain areas where extreme heat is used, such as forges, steel mills and freezer facilities. We also supply this type of dee shackle with a safety bolt instead of the screw pin. If this type of dee shackle is not quite right, take a peek at our screw pin alloy bow shackle, this can be side loaded! Telephone Rope Services Direct on 01384 78004 to speak to our sales team; knowledgeable and experienced we can answer most questions to help you get the right product for your needs. All Lifting equipment needs to be of the correct type for its intended applications, failure to use the correct products could be extremely hazardous. Screw Pin Alloy Dee Shackle Overall rating: 5 out of 5 based on 6 reviews.